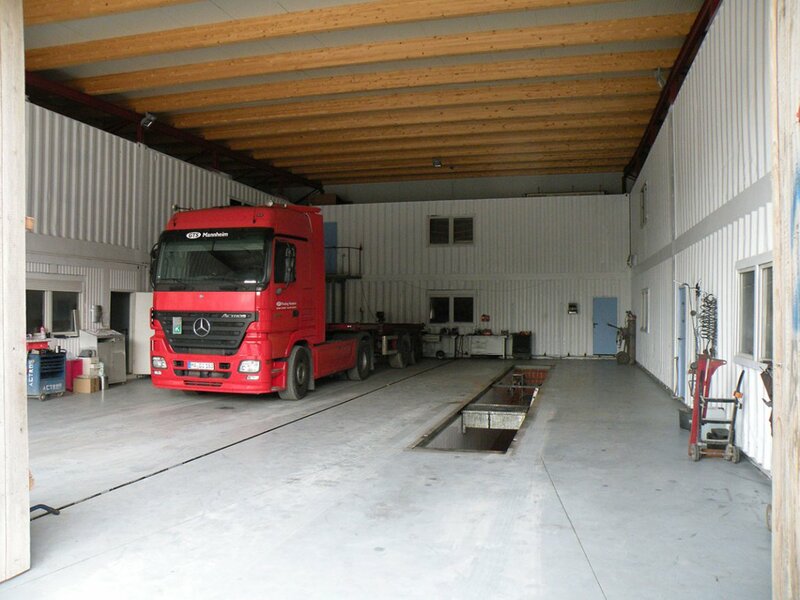 A new weather-protected space was urgently needed for truck maintenance on the new GTS-Mannheim production site. It needed to be a low-cost solution that was quick to build. 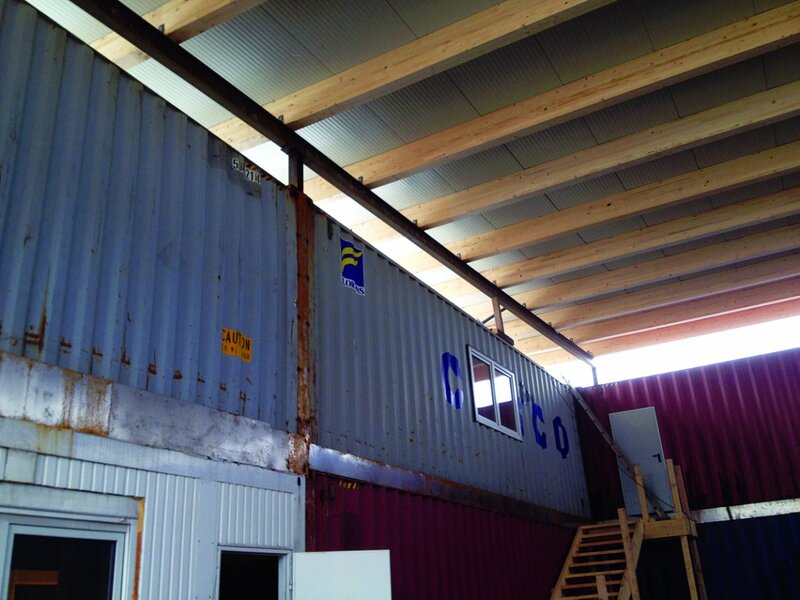 The client idea was to use old recycled containers as the wall parts with a light roof above. 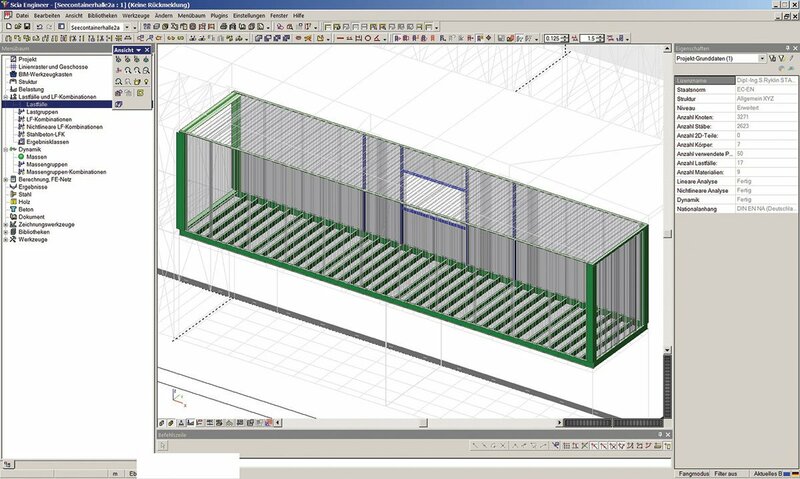 This would make it possible to create the storage and maintenance spaces at once and the execution could be processed very quickly and easily. The hall has an outer size of approx. 24 m x 17 m x 7 m. The covered area measures approx. 430 m2 and provides about 320 m3 for storage and 1,700 m3 for truck maintenance. 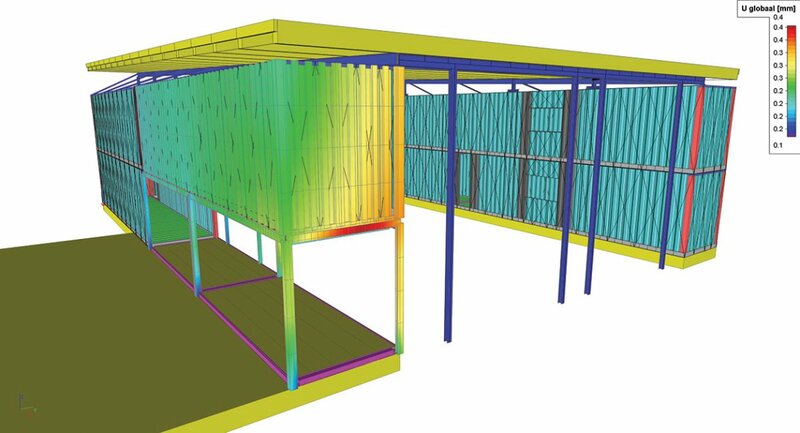 The designed container walls including required openings and steelwooden beam roof were built up in SCIA Engineer with Structure, 3D-Free-Modelling and Drawing tools. The calculations were processed in SCIA Engineer according to 2nd order theory under EC loading including earthquake. 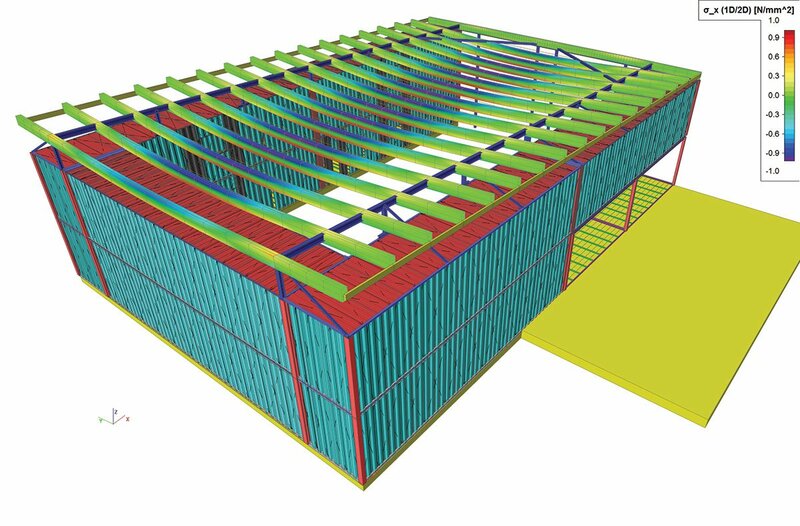 The results of the calculations gave feedback about roof-container connections and wall reinforcement required. 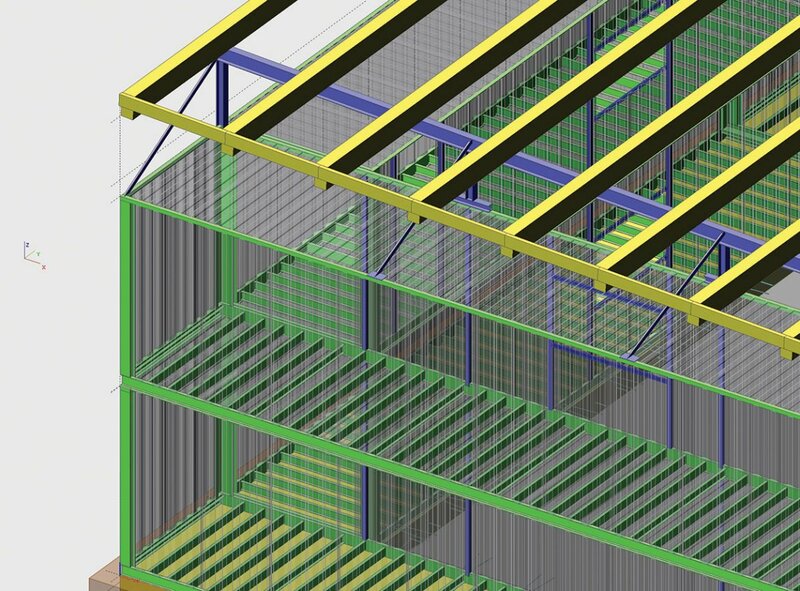 All the overviews, elevation, execution and detail drawings were processed and created in SCIA Engineer with appropriate modelling- and drawing tools. 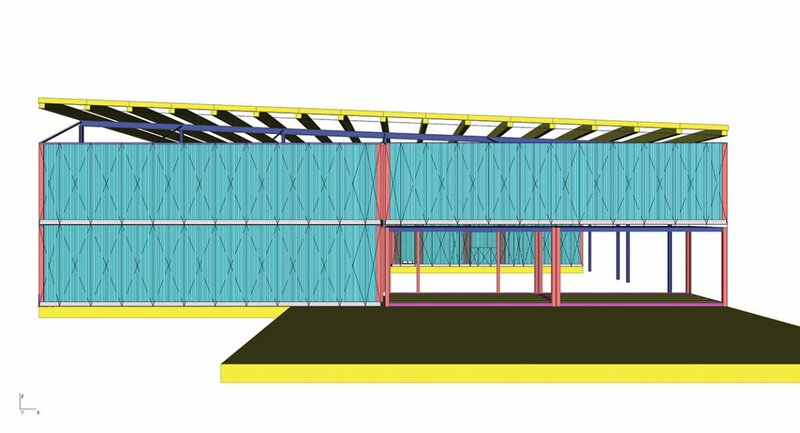 The main planning challenge was to combine different given types of the old sea and office containers with the new roof structure. Different openings for the required windows, doors and interconnections had to be created and adapted/reinforced due to the roof loads.